Here is a simple checklist to help you transact internationally without any difficulty. Make sure to link a valid card to your PayPal account. Check with your issuing bank for your spending limit. Here’s a list of major banks that accept card transactions, done through PayPal. Already have a card which is enabled for international transactions? Add your preferred card to shop. You'll only need to do this once. Facing an issue with a recent transaction? We’re here to help! Your transaction could be declined if you have not updated your new card details. 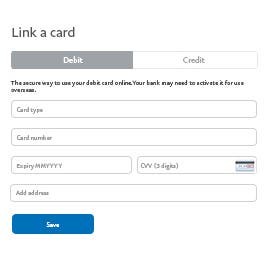 In the event your card was upgraded or reissued or renewed, update your new card details now. 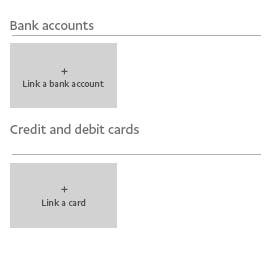 Your card could be declined if it is not enabled or activated for international transactions. Click here to choose from the list of banks and contact your card issuing bank for more details. Alternatively, add another credit or debit card and proceed with your transaction. Click here to try an alternate card now. My card has been recently upgraded or renewed. How do I update new card details? 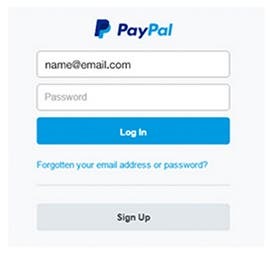 Is there any fee for using PayPal? Which banks accept international card transactions through PayPal? How do I add or remove a local bank account? Enjoy hassle free online shopping with PayPal.